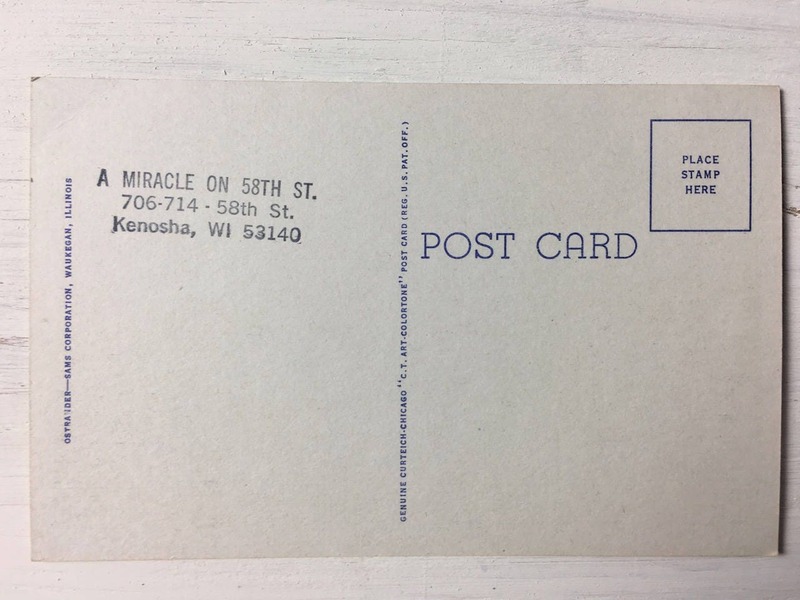 This is a neat piece of history for anyone who grew up in Kenosha, Wisconsin! 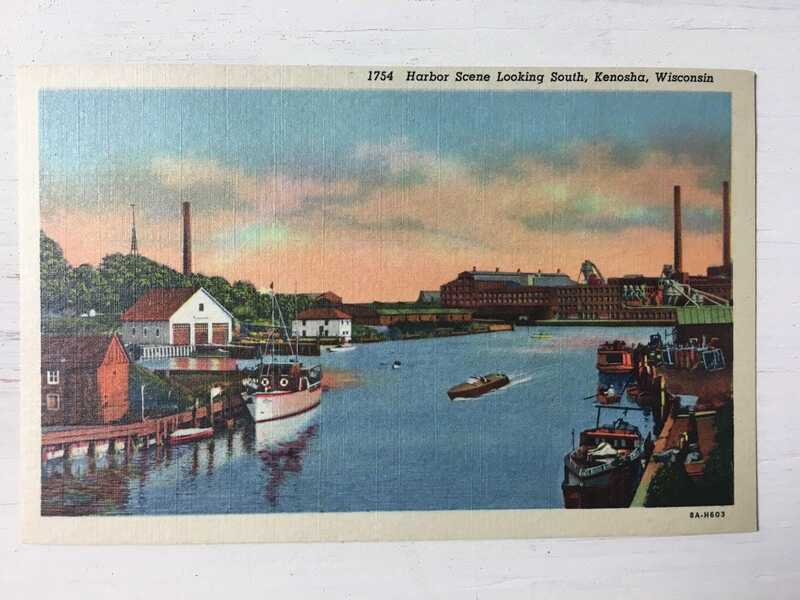 The illustration depicts a scene with boats in the Kenosha harbor looking South, probably viewed from the bridge on 50th Street. In the background sits the factory which was home to Nash Motors, and later American Motors. There is no year listed on this card. The card is in very good unused condition, but does have a stamp on the back from the store that sold it. A nice piece for your postcard collection, or as an art piece. Postcards ship in an envelop with a cardboard stiffener. We have hundreds of other postcards to add to the shop, including many from Denmark, and various areas around the United States. We'll be offering single cards as well as small collections of cards. Check back!